Slavery has a new name: “Mandatory Service”, introduced July 15th 2010 by Charles Rangle. 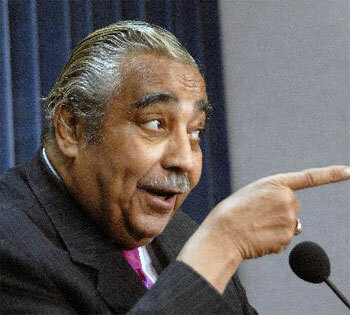 Democrat Charles Rangel wants you to work for free. Barely a year after introducing H.R. 1444, which was supposed to form a “Congressional Commission on Civic Service to study methods of improving and promoting volunteerism and national service, and for other purposes”, Congress has upped the ante. Anyone between 18 and 42 will be eligible for a two year commitment of civilian or military service. With more college graduates working for the fast food industry, a depression era unemployment rate and less people retiring; the government will have plenty of eligible able bodies to move into the slave ranks. Obama dangling college money in front of America’s desperate youth. Well, it worked with the troops, didn’t it? This echos the sentiment of President Obama who asked Congress in February 2009 to send him a bipartisan bill in the spirit of national service. His Chief of Staff Rahm Emanuel outlined a similar plan in his book The Plan. But even Emanuel aims low looking at only 18 to 25 year olds for three months of compulsory service. Under this new legislation nearly all, able bodied Americans will be sentenced to two years of forced labor. The infrastructure is already in place for those unwilling to participate in mandatory service and now the army is looking to fill it’s ranks with Interment/Resettlement Specialists. The inaugural promise to America: new Brown Shirts for everyone. There are very few loopholes to opt of out national service, even CONSCIENTIOUS OBJECTORS (SEC. 109) will be forced to choose the mandatory option of A. non-combatant service (as defined by the President) or B. national civilian service. It seems the congressional commission on civic service will no longer be needed thanks to the hard work of a suspected Congressional tax cheat from New York. http://www.youtube.com/watch?v=rO72uExwDCA Serious food for thought: the Obama Youth Movement looks curiously like another famous youth movement in the 20th Century. The slavery bill is currently in debate in the House Committee on Armed Services chaired by Rep Ike Skelton a democrat from Missouri. Those who oppose mandatory slavery should contact Rep. Skelton. Many bills die in committee and this bill should meet the same fate.